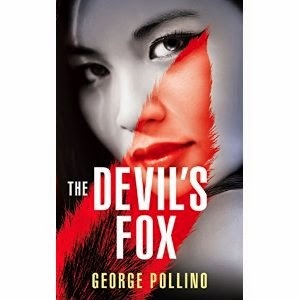 George Pollino's "The Devil's Fox" is a novel that beautifully blends romance, mythology, and suspense into a riveting story. I was intrigued from the start, with Akane, a fox demon, waking up in a public restroom. I could see Pollino's knack for descriptive, affective writing, particularly narration. Additionally, I was impressed with the imaginative nature of the story. This is not your run-of-the-mill suspense/thriller. For instance, the main characters are a fox demon, a scientist, and a blind priest. When Thomas, the priest, summons Akane, the fox demon, she finds herself embedded in a life or death battle that seems impossible to win. Pollino does an excellent job weaving a story with many threads that is unpredictable and gripping. Although I think all the characters are well-written, the soulless Akane is my favorite, with her complex desires and unique relation to the other characters. The novel's chapters switch between different time periods and settings (Japan, Italy, etc) giving the reader insight into the story from multiple angles. I'd recommend this book to anyone who enjoys mythology (particularly Asian mythology) and suspense.